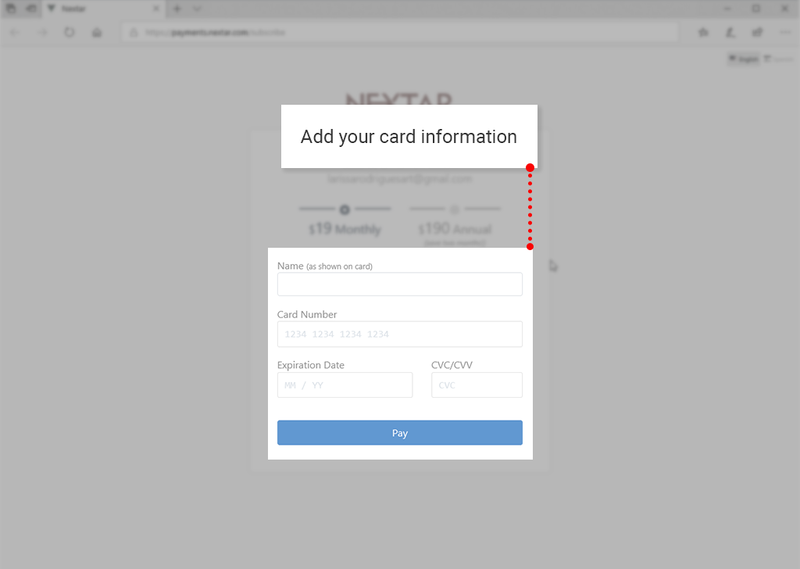 The payment of Nextar software has a monthly and annual recurrence. To make the subscription, you can choose between FREE and Premium plan, according to the resources of each of them. You can read more information about the plans and their resources on this link. 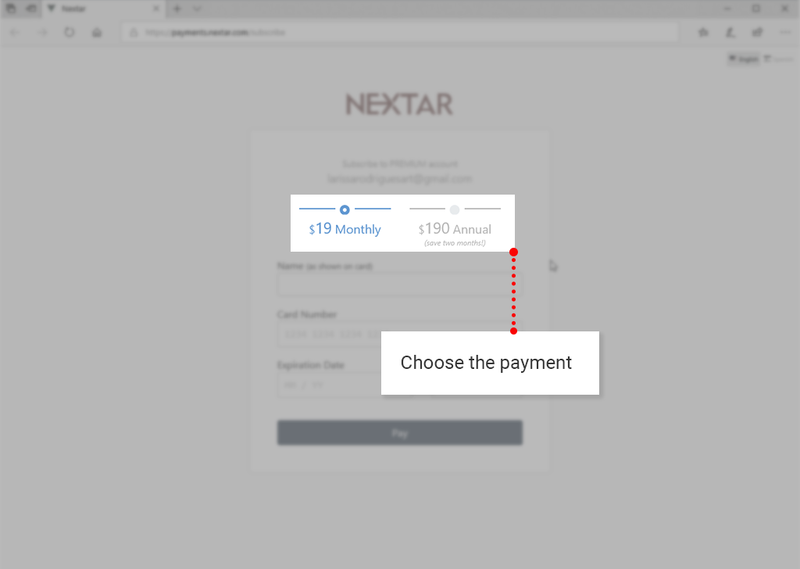 To make the Payment of the Premium Plan, you should click on the help button, that is located on the toolbar, at the top of your Nextar and then on buying or renewing the subscription. 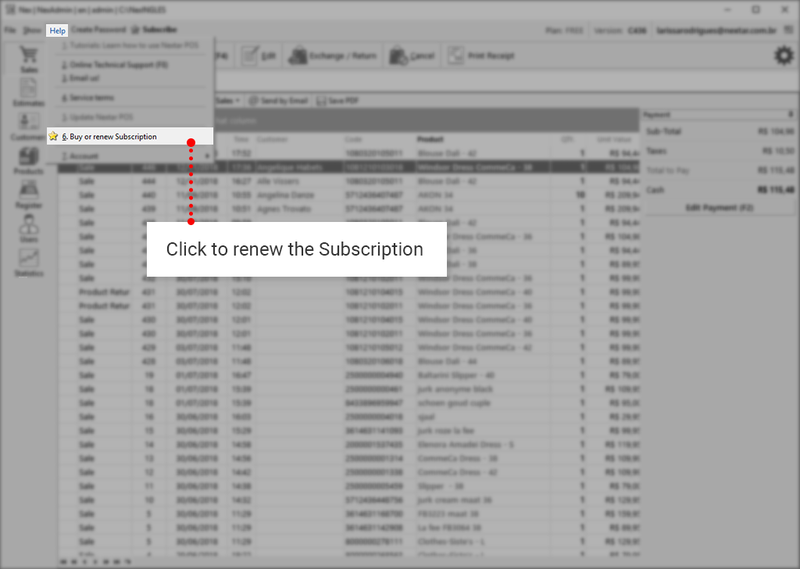 If it’s your first subscription, you can only click on the Subscribe button, at the top of your Nextar screen. You will be redirected to a window, where you can choose between the monthly and annual payments of the Premium plan. Then, you should fill the fields with your credit card information. Your name, card number, expiration date and CVC / CVV. Now, your payment is charged and your license is released. 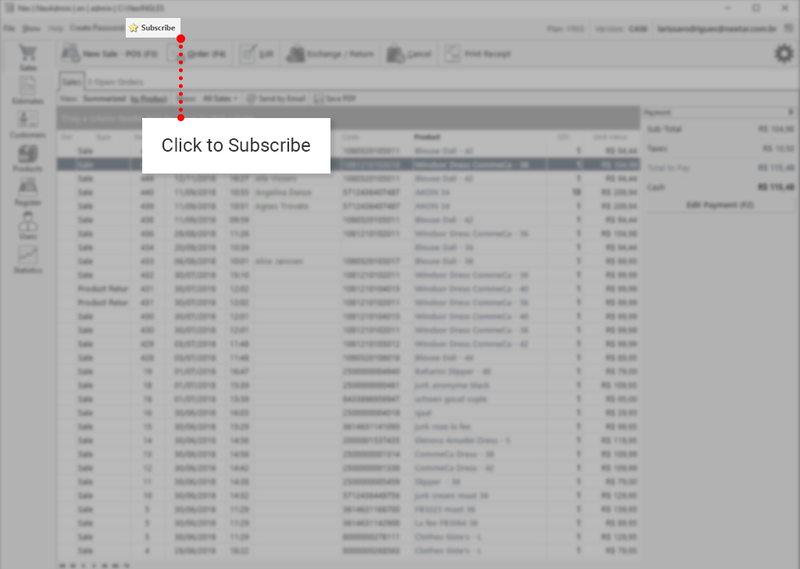 To update your plan data on the software, you can click on your e-mail, located on the top right side of your Nextar, and choose the third option: Update Data Plan. When the program is closed and reopened, the data is also updated.